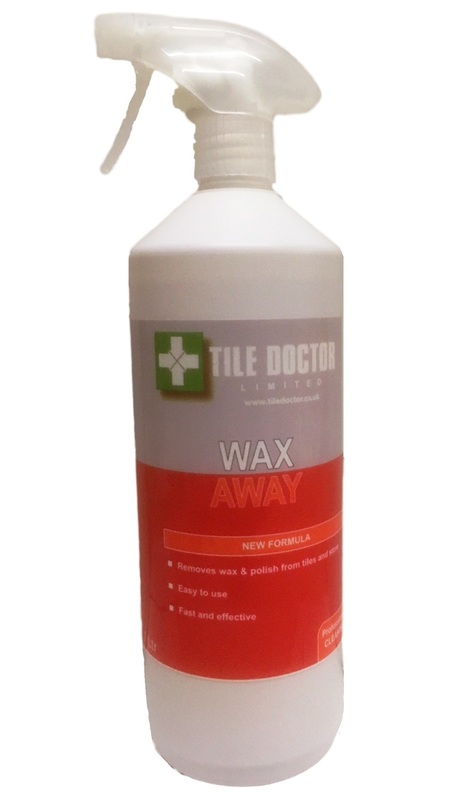 Easy to apply Wax Remover with a fast and effective formula that is designed for the safe removal of wax and polish from tile and stone. Recommended for use on natural stone or manufactured tile including Ceramic, Granite, Limestone, Marble, Porcelain, Quarry, Slate, Stone, Terracotta and Travertine. Always test the solution on an inconspicuous area before application. Using a scouring pad or brush, scrub the area thoroughly where the solution has been applied. Thoroughly rinse the floor 3 or 4 times with clean water ensuring that all of the solution has been removed. For stubborn areas, repeat steps above. For general use, a solution of 1:10 parts of warm water is recommended. If the area to be cleaned is severely soiled use a 1:4 parts of warm water dilution. Spot cleaning with undiluted product can be done with particularly difficult stained patches. Upto 20 m² (215 sq. ft.) per litre depending on dilution and porosity of tile. Available in 1 litre bottles at £13.00 each and 5 litre bottles at £37.00 each, postage and Packing £5.50 for 1 litre, £10 for two or more litres (all prices are shown inclusive of VAT).